This book covers the National Park of Dartmoor and its surroundings. 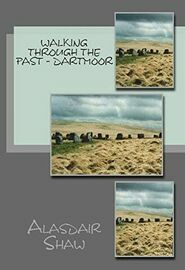 Walks on Dartmoor can be challenging and rewarding. There is a wealth of historical and archaeological remains. You can also view the routes on OS maps online and even download them to your GPS by going to http://my.viewranger.com/route/curations/447 (for a video so see how they work go to https://www.youtube.com/watch?v=7LJDRnvteFY).